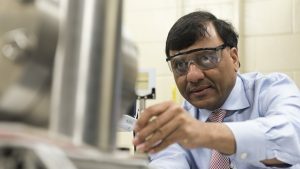 Three University of Alabama College of Engineering departments have been awarded U.S. Department of Education grants to fund graduate students in the fields of mechanical engineering, computer science, and chemical and biological engineering. The Graduate Assistance in Areas of National Need, or GAANN, program provides financial support to graduate students planning to pursue the highest available degree in a field designated by the Education Department as an area of national need. This year marks the first time UA has received three GAANN grants in separate engineering departments at the same time. The three-year fellowship — which includes a stipend of up to $34,000 a year in addition to tuition and other costs — is awarded to domestic doctoral students whose research aligns with overall needs of their respective fields and who demonstrate a financial need. This fellowship will help each department with its goal to expand graduate student enrollment. Recipients will be chosen through an ongoing application process starting this year. The mechanical engineering department will receive a total of $1.2 million throughout this three-year grant. The focus is in the area of smart combustion systems incorporating automation, additive manufacturing and alternative energy. Specifically, it will cater to the nation’s emerging energy infrastructure. Agrawal, who has received three GAANN grants since his start at UA in 2005, said seven or eight doctoral students will be awarded the fellowship. 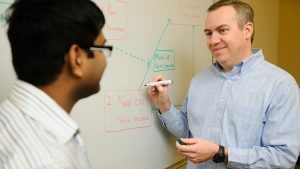 The computer science department’s lead professor for the GAANN grant is Dr. Jeffrey Carver, and the focus will be in the cybersecurity field. The $746,250 award will fund five computer science doctoral students for three years. While the GAANN fellowship is restricted to domestic students, the chemical and biological engineering portion allows students to work as teaching assistants in a study-abroad course. The $746,250 grant will focus on polymers and soft materials, which coincides with current research projects within the University. 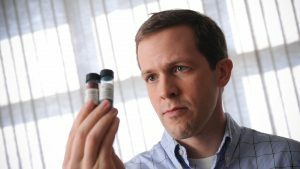 Dr. Heath Turner, chemical and biological engineering interim department head and departmental graduate program director, is lead professor on the grant. He said the department chose to apply for the grant in an effort to grow the graduate program.